Students in this department carry out care worker training for one year as one of the steps to qualifying for the National Certified Care Worker examination. The goal is to return to their home country to work at a nursing care facility after obtaining knowledge of nursing care in a short period. 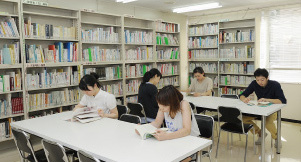 International students who have obtained JLPT N2, have an understanding of welfare, and intend to seek employment in the field of welfare in their home country or Japan after taking this course. Department of Practical Nursing Care Completion Certificate will be awarded to graduates. 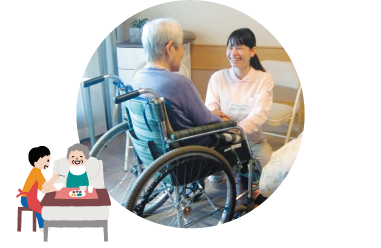 At Tokyo International Welfare College, we start employment support at an early stage, and carry out regular individual consultations in order to help students find a specific place of employment that they would like to work at. Our one-on-one counselling and seamless support ensures that all our students get to choose the most suitable and best future for them. 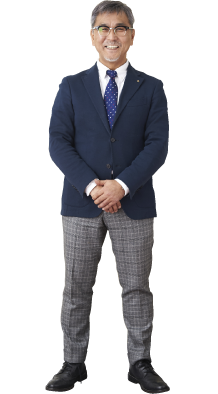 Our teaching staff are highly-knowledgeable and experienced in all fields of welfare. Students can engage in efficient learning thanks to the wide variety of amenities at our college. Welfare and nursing care facilities are equipped with various equipment to provide even a little more comfort to those in care. 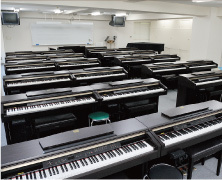 At Tokyo International Welfare College, we use teaching methods incorporating actual care facility amenities to ensure that our students can develop the specific skills involved. We pray that even one more person who shares a passion for creating a positive welfare environment where everyone can equally enjoy living well may come to our college to learn and continue to work on the front line of nursing care in the future. The closest station, Shinjuku-gyoemmae, is just two stations away from Shinjuku Station on the Marunouchi Line making it very easy to access. Being able to reach the college in 20 minutes on foot from Shinjuku Station while getting in some window shopping is also one of the merits of our college.